Single stream recycling makes recycling simple by using one container for all your recyclables! 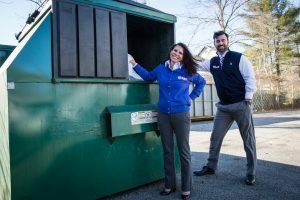 Many townships and municipalities have been recycling with single stream recycling programs for years! This recycling process makes it the most simple program available to generators of waste. All recyclables are able to be placed into a single bin for recycling and the commodities are sorted at the recycling centers. 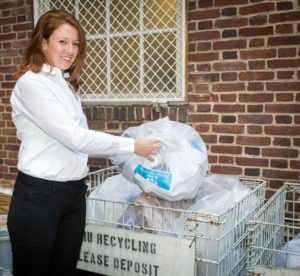 Many facilities are hesitant or overwhelmed with the thought of implementing a recycling program. Through single stream recycling, it is easy to initiate and have a successful recycling program. Many areas within office buildings have waste streams that consist of primarily single stream recycling and organic waste. These opportunities allow us to initiate programs with little to no dependency on landfills. Let one of our waste minimization specialists assist you today in establishing your single stream recycling program!